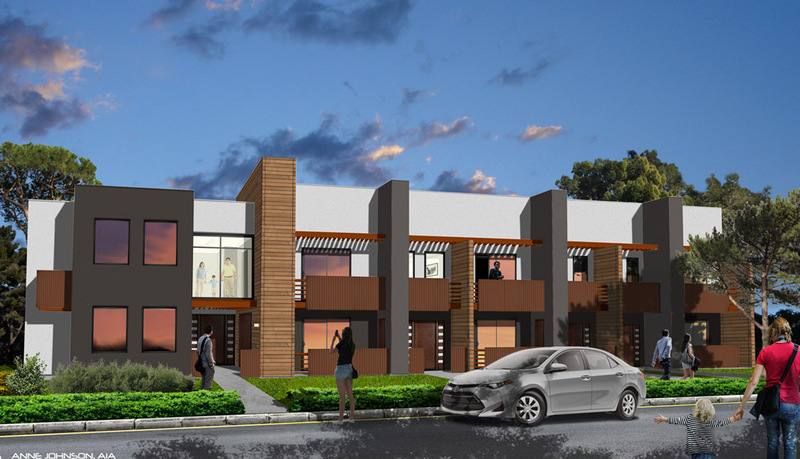 This contemporary LIHTC development is a 64-unit 2-story multi-family rental apartment complex set on a previously developed urban lot with many mature Aleppo pines and is part of the re-emerging Bonanza corridor with the new East Las Vegas Library and an adjacent Early Childhood Education Center (ECEC). Townhouse-style units front Wardelle street, while flat-style units flank garden and community spaces. Unit types are 1-bedroom, 2-bedroom flats and townhouses, and 3-bedroom, including four accessible (ADA) units. 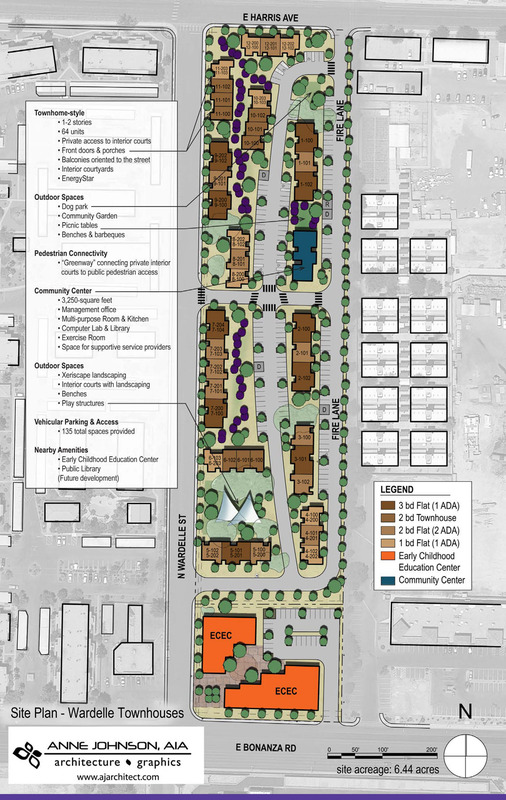 Structures include a community center and 12 dwelling unit buildings, consisting of 5 building types, totaling approximately 80,100 SF total, including 3,000 SF community center. Amenities include a dog park, community garden, picnic areas, shaded play area, and space for a future recycling center.